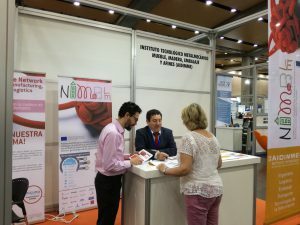 AIDIMME has supported the arrangement of the NIMBLE presentation inside the ENCAJA fair with the support of FEVAMA and MICUNA. 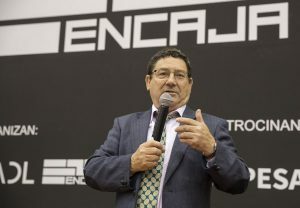 The ENCAJA event is a professional fair which main goal is the promotion of encounters between supplying and demanding companies in order to cover business, technology and knowledge, focusing on finding real and effective solutions for the storage, distribution and sales points. NIMBLE was present in ENCAJA from 30th May to 1st June through the childcare furniture use case proposed by MICUNA. 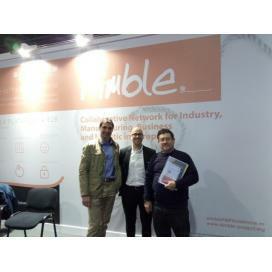 The NIMBLE platform was also presented to the audience on 1st June during a dedicated speech in which the main aspects of the platform were explained exhibiting specific mock-ups focused on the supply chain of the furniture sector. The presentation was specially targeted to providers of services and raw materials, logistics and manufacturers. Furthermore, face-to-face meetings have been arranged and specific questionnaires have been filled by the companies in order to know some details about the companies and its interest in NIMBLE.